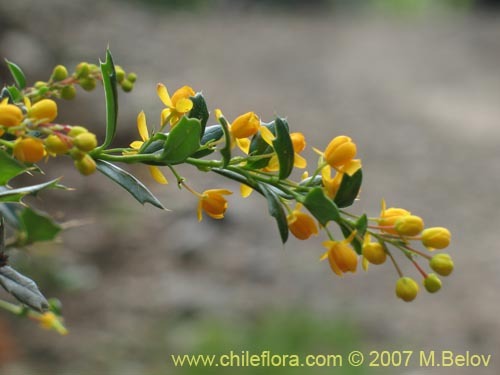 About 19 Berberis in Chile and 14 in our data base. 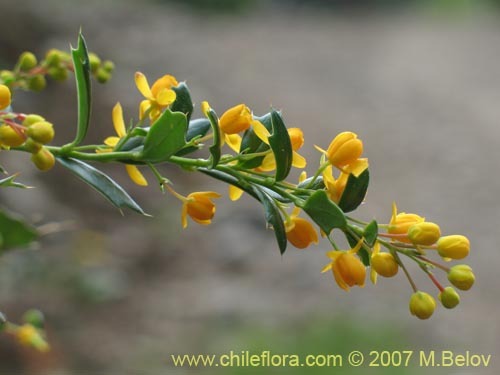 About 19 Berberidaceae in Chile and 14 in our data base. 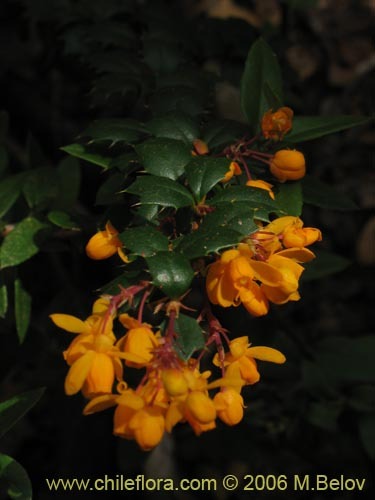 This berberis plant, named in honor of Darwin, has the typical appearance of berberis - with its thorny leaves, thorns on the branches, yellow nice flowers, and blue edible fruits. 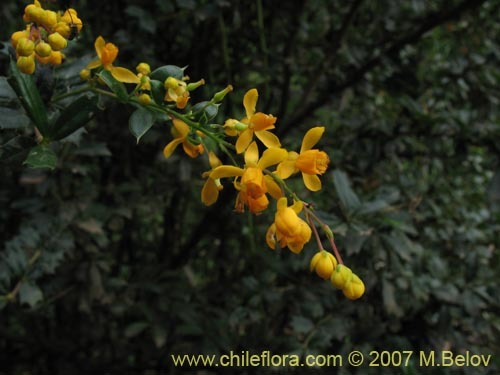 It is relatively easy to cultivate and will reward you with a somewhat strange appearance and at the same time it will supply you with the edible fruits. 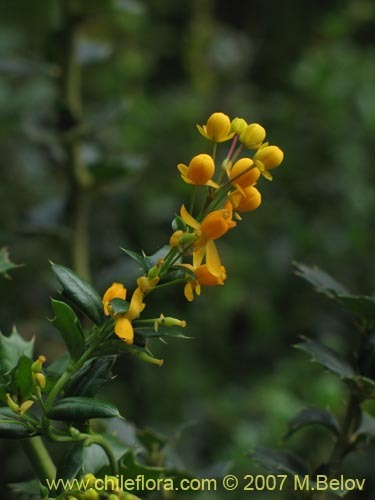 This plant grows at medium elevations, within the wood, often associated with Coigües (Nothofagus dombeyi) and in rather humid conditions.